This plugin helps save you from two unfortunate quirks about how Lightroom handles image deletion: sometimes Lightroom deletes less than you intend, and sometimes more. The former can create a storage-workflow mess; the latter can destroy your precious photos. When you invoke a delete operation on a photo or group of photos, Lightroom sometimes deletes virtual copies that you have not selected. It would be better if Lightroom didn't silently delete extra things you didn't ask for. The plugin alerts you to this via its “Virtual-Copy Protection” feature. When you delete a file from Lightroom that happens to be “offline” at the moment (e.g. on an external disk that is not currently attached), Lightroom lets the delete happen even though this leaves the master image file orphaned on the external disk. It would be better if Lightroom would alert you to the situation so you could abort the delete operation if you wanted. The plugin handles the alert for you via its “Orphan Master-File Protection” feature. You can use either feature, or both (though the latter feature is supported only from Lr5). The Problem: when a delete operation is invoked in Lightroom, if a selected master image has virtual copies that are not selected, the unselected virtual copies are silently deleted as well. This could be a big problem if you didn't realize the other virtual copies existed; their existence may mean that you want to actually keep some of the master image files that are about to be deleted, so it'd be nice to be warned in these cases. If you hadn't been expecting this, it's your opportunity to isolate the relevant photos to a collection so that you can inspect them and then take action as you see fit. The Problem: with Smart Previews introduced in Lr5, it's easy to forget that you might be working with photos whose master image is not currently available (because, for example, it's on a network drive that's not connected, or an external drive that's not attached). If you delete such a photo from Lightroom, the master-image file is not deleted as it would be had the drive been connected, thus leaving “orphan” master image files that are no longer connected to anything in Lightroom. So, as a matter of workflow policy, you might wish to be alerted when trying to delete a file whose master image is not available. This plugin's Orphan Master-File Protection feature does that, alerting you to an impending delete of an image that does have a Smart Preview, but does not have access to its master image file. As an aside, I'll mention that my PhotoSafe plugin is another useful tool for image preservation in Lightroom, allowing you to mark specific photos as “not deletable”. You might use it, for example, to ensure that you don't delete any five-star photos, or photos that you've published to an external site, etc. 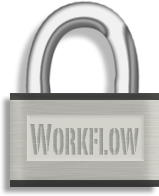 This Workflow Delete Options plugin piggybacks on Lightroom's “Publish” infrastructure to provide its protection, so to set it up, after installing the plugin, visit the “jf Workflow Delete Options” publish service in the “Publish Services” section of Library. Clicking on “Set up” brings up a configuration dialog. In the configuration dialog, you can choose one or both features (though only one is available in Lr4). When you finally create the publish service via the “Save” button, the plugin will make one publish collection that includes your entire library, aptly named “Entire catalog”. Until images are actually “published” in that collection, they are not subject to the plugin's protection, so it's important to publish the collection soon, and the plugin will offer to do this. The very first publish could take a while (for example, a couple of hours on my laptop for my 130,000-image library), but after that it goes much faster. As you add new images to Lightroom, the nature of the plugin's “Entire catalog” collection draws them in automatically, but they are not “published” automatically, and so they are not subject to protection automatically. To get around this, the plugin automatically scans for photos to publish (and publishes them) when Lightroom starts, and optionally, every so often while Lightroom is running. The default is to perform a publish scan every 30 minutes. Better handling when the plugin is reloaded in the middle of a session. 20141019.18 Windows Only: Add a one-time check for the POODLE security vulnerability, and alert the user if it exists. 20140710.12 Sigh, had a bug in the Creative-Cloud support. 20140704.10 Sigh, introduced an error for some folks with the rebuild the other day. Worked around a Lightroom bug to disable Lightroom's meaningless "Downloading Comments" task. 20130713.5 Added the ability to turn off the automatic scan when Lightroom launches. It turns out that with Lightroom's current infrastructure the scan is a pretty heavy task when the catalog is big (mine has 130,000 items), so I'll just have to manually remember to manually publish the publish-service's "Entire catalog" each time I import new photos. Do I have to re-register to upgrade? I do not catch the diffence to the PhotoSafe plugin. Does PhotoSafe not solve the same problem in a more genaral way? I have the jr workflow delete options. I cannot find the item in my finder and the lightroom services panel shows a ? and says (missing plug in). My plug in manger shows to copies of the plug in. Only once can be active at a time. I have images that I wish to delete but cannot do so. What do you think? I use new iMac, 10.12.6 along with very. later version of LIGHTROOM. This is making me crazy. What can I do? HELP PLEASE!!! !